Will was mountain climbing with a girl he was dating when he fell 50 feet down and landed on both of his feet. He heard his legs snap immediately and put his hands out behind to brace himself, breaking his arms in the process, and ending up crumpled in a bush. He will never forget that day, Friday the 13th, 1993. All in all, small bones included, he broke over twenty bones and had eight surgeries. With both arms and legs broken and lying there in bed for hours on end, Will shares it was a dark time for him, until one day, his home health therapist arrived. 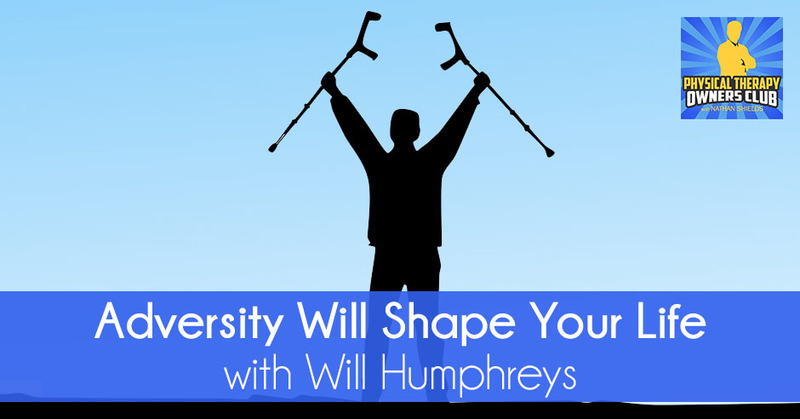 Will recounts his physical therapy journey and how his therapist shifted everything and never gave up on him. The idea that physical therapy has so much more to do with connecting to an individual and improving their emotional well-being through the physical well-being was what got Will into it. I have an inspirational and special person in my life, Will Humphreys, who besides being a great business partner, I also consider him one of my very best friends. 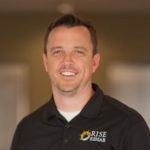 If you’ve ever gotten the chance to meet Will or do in the future, you’ll get to know him and love him and his amazing personality because not only is he an amazing leader of our PT clinics, he’s an amazing husband and father to his four children. On the side, he’s been doing some standup comedy and improv in and around Phoenix area. He’s got a lot of great interests. I would love, and I invite you to reach out to him and get to know him at any time. Will, in particular, is always growing, always learning. He’s been an inspiration to me and I wanted to interview him not only because he’s a business partner and I love and admire him so much, but he’s got an incredible backstory that got him into physical therapy in the first place. He’s also overcome a lot of challenges, not only in his personal life but also in his business life that is going to be inspirational to our audience. Will, thanks again for coming onto my podcast. I appreciate it. I’m grateful to be a part of it. The first thing I want to say is that the audience needs to lower their bar of expectation with me. I appreciate those kind words but I’m feeling way. It was the kind of thing that if you and I have had years ago, we would have saved ourselves from doctor visits. For the audience’s sake, why don’t you give them a little bit of backstory about you and what got you into physical therapy and whatnot. Let us know a little bit about you. I’m originally from El Paso, Texas. I’m proud of being from Texas, third generation. My high school experience was pretty rough. I had braces for a greater part of ten years, including our gear I had to wear during middle school. When I finally started dating, I didn’t know what to do to impress girls, so I typically went extravagant. All these little things I used to do, but the one thing I decided to do with this one girl I was dating, Julie, is to go take her rock climbing because that was the cool way to show off. It was the summertime between my junior and senior year that I was taking Julie. This is the story that got me into physical therapy was that I wanted to go show off. I took her to the base of this mountain. El Paso is a crazy city. It’s the border of Mexico. There was a lot to do there other than to get into trouble, so mountain climbing was the other thing you did. I took Julie to the base of this mountain. I didn’t use any ropes because I was seventeen and highly hormonal. I wanted to impress her. We’d like a Buck 40 at the time and I wanted to show off, so I took my shirt off. I think I had my ‘90s jeans shorts on. I started climbing with her at the base of this mountain and it was a pretty tall mountain. It was 50 feet, five stories of a building. It was an easy climb but it was still fairly tall. Why I chose it? I chose it because it was the way to show off, but also be safe about it if there was such a thing going that high power. Julie and I started climbing up it and we got to the very top part of the mountain and she got stuck. I remember halfway going up the mountain just being like, “Crap, this isn’t a good idea.” I should’ve used ropes but I was already committed. She gets tired towards the top. I talked her through it and now, I’m at the very top of the mountain. As she makes it over that mountain, I’m holding onto peels right off and I free fall 50 feet, landing on both my feet and heard it, heard the snaps immediately. Heard the snaps of the bones in my legs. The velocity was so high that as I hit the ground, it’s not like I just crumbled. My legs broke and it kept going backwards. I put my hands out behind me to brace myself that way. I broke both of my arms. It was pretty intense. I rolled for a little bit and I stopped and I ended up in a bush. That was Friday the 13th, 1993. Every setting has its potential for impact if people choose it to be. Tell me a little bit then what happened going forward as you had to deal with a lot of rehabilitation after that. The whole time between the fall and getting the physical therapy was this whole journey. I had an open compound of my femur, so my left femur bone was sticking out of my leg. When I landed, the bottom part of my foot was laying on my gastroc, so the plantar surface of my foot was laying on my gas, broken and rotated. Believe it or not, that was the only thing that hurts. The other stuff was numb for a while. I was on the mountain for about five hours, both radius and ulna, pulverized different carpals as well. All in all, small bones included, I broke over twenty bones. I have been on the mountain there for five hours until they helicopter me out. I have eight surgeries. My dad was between jobs at the time. He was an entrepreneur. He still is, but he owned a seafood restaurant and got rid of that. He’s in between things. My mom’s a school teacher. All of a sudden, my living room has become my bedroom. They’re struggling to figure it out. Back when insurance isn’t what it is now, where back then, my parents made a $500 pay total. All my surgeries were covered. The hard thing was during this whole time I’m missing my senior year. I’m going through months of surgery and pain and I’m super depressed. I’m home, I’m in this living room, and there’s home health aide that would show up during the day to bathe me and put me on a port-o-john next to my bed. It was a dark time. My dad also was worried about me getting addicted to television, so he didn’t let me watch any TV, so I would just lay there. I broke both arms and legs and just lying there in bed for hours on end. I was super dark and depressed. Then one day, my home health therapist shows up, her name is Connie Clemens. She knocks on the door. At the time, she had been in her mid to late 40s, probably five foot tall. She wore loud colored clothes, like flowy, super professional but someone who is just your aunt. “Will, how’s it going?” She didn’t have an accent. She came in and, “We’re going to get you up. You’re going to do fine,” and all this stuff. I hate her. The second I met her, I was like, “No, this is too much positivity in this dark room.” Then, she shifted everything for me. She never gave up on me. It was my third visit that all of a sudden, my focus went from, “Why did this happen to me?” to getting better. She was so special to me during that process because she was committed. She was committed to the concept of being someone in my life, and she was. She was the type of therapist where I opened the door for the first time in my platform walker, she cried. It was sometime towards the closer to discharge that I was like, “I want to do what you do. How do I do that?” Talking about like what physical therapy was about. That’s what got me into it. For me, the idea that what we do in physical therapy has so much more to do with connecting to an individual in improving their emotional wellbeing through the physical wellbeing. Ever since then I went to school and immediately, that’s what my major was and that’s how I got in it. I know that during PT school you had some other incidents that you had to deal with. The road hasn’t been smooth and paved for you over the years whether it’s to get into physical therapy. You also had this incident with the FBI in the past. For the audience, you might want to look into that story because that’s another whole other ordeal that maybe not have been as physically painful but probably psychologically and emotionally painful. I was pretty emotionally traumatized. I’ll just mention that I was suspended in my third year of PT School for suspected terrorist activity. We’re all about PT clinic ownership and I want to hear about your story about how you got into PT because we all have something that got us into physical therapy and yours is particularly special. What took you from simply being a physical therapist wanting to be a physical therapy owner? Back when I was with Connie, I knew I wanted to be an owner. It’s always been a part of my process and journey. I remember when I was getting better with Connie thinking and realizing that she wasn’t the first physical therapist I’ve worked with, I’ve had physical therapy in the hospital and I just remember it was super late. I didn’t have someone who showed up powerfully the way that Connie did. That’s not a dig on our hospital physical therapists. You can’t deny that with your father’s background, he had an entrepreneurial bug inside of him and you’ve probably got a little bit of that I’m assuming. I have talked about in the past, as you and I looked at our lives and the people, business owners, it’s there. Entrepreneurship is a bug that is just born in people. Some people might create it, I don’t know where it comes from, but it’s there and you have to do something with it at some point. Either you’re miserable where you are working for the man or at least you’re happy you’re taking that on. You went through physical therapy school. You worked as a physical therapist, started working in Arizona. I brought on Will as a physical therapist to a new clinic that I was opening in a rural town in Arizona. I didn’t know much about Will other than meeting him and because of his engaging personality and his desire, I knew immediately that he was going to be successful. It was an easy hire. I was praying and hoping that he would say yes. We brought him on and he worked for me for about two years, and then he eventually bought that clinic from me. We’d been working together in some capacity ever since. To get into the ownership part of it specifically, you made that switch from being the head therapist at that clinic to ownership there over the course of a couple months. What did you find were some of your initial headaches and difficulties when it came to ownership? The initial challenges I faced when I went from working for you to working for myself were more internal. In that situation, I don’t think it was your typical scenario because of who you were in that situation. I didn’t do the thing that a lot of PTs do where I went out and hung my shingle. I hung the shingle on your dime. When I went from being an employee of yours to being an entrepreneur in that regard, it was a real minor transitioning in the initial stages. I will say that even then and for the majority of our experience together as partners, that the billing and collecting piece and the credentialing piece, working with the insurance has been what it is, which is challenging. That’s figuring it out at first was hard because it’s always people dependent and not systems so I outsourced it. At first, I had that one biller if you remember who I had brought in house for a while, so that was always hard. The initial challenges of starting things out, we’re more like the courage to do it and to take on the financial like burden of being you off for the clinic. Physical Therapy Journey: Leadership development as a PT practice owner is wildly under-emphasized. Over time, you kept growing, you got busier, you opened up another clinic, we had another clinic together. Was there some point where you thought, “I needed to do something differently?” Or you maybe started coming up against some walls in your progress or difficulties that bled over into your personal life or some stuff like that? Everything went to complete crap when I opened a second location. I bought that location and then a couple of years later, I opened the second location that you and I opened in up a shared location. This speak much to you like the fact that a lot of business owners would have not let me buy them out. You handled that the way that you did, which was awesome. Then from there, because it went so smoothly, you and I keep partnering together. We ended up opening up that shared location together in Arizona. Opening up multiple locations was the difference for me between a guy who owned his job and being an entrepreneur working on the business. That’s when everything went to absolute crap. It was the worst time I would’ve felt. The mountain climbing accident wasn’t as bad as that for me. This audience are people who are looking to possibly go up in clinics. I don’t want to scare them. What I wanted to do from sharing my story is show them where they can do it without imploding. There are ways you can. I figured it out and it was hard. The breaking point was me driving home at 10:00 PM on a Friday night with my charts in the passenger seat. Back then, we had paper charts. I had a bag of laundry in the back seat because I had to do laundry. I had the two and a half clinics and I’m splitting and none of them are close. For reference, between two of our location, I had the one we shared, it was an hour to hour and a half drive. I was in a car that had broken air conditioner in Arizona. I’m driving home from one of the clinics, I had brought a shirt to change into because I knew I was going to sweat into it as I should have. I’m driving home at night. It’s Friday night and I’m already crying. I’m like, “This is hard.” All of a sudden, the alarm in my car for the seatbelt warning is going off because the weight of my charts is so big. My wife has seen the scene before. This isn’t the first time that happened. She’s like, “Okay, honey.” I had a real heart-to-heart that weekend. I told her, “I’m going to walk away from it.” That was the plan for a few days was that I was literally going to close down a couple of locations even though they were busy and stuff. I physically and emotionally couldn’t do it anymore. We were going to find a way to exit and get out and be done. What did you decide was your first step? What did you do next? From Heather, the very first thing she did is she said, “If you want to talk about it, that’s cool. You’ve talked about hiring a coach and you’ve talked about this business network being called Entrepreneurs’ Organization that’s geared towards helping new entrepreneurs be successful. Have you thought about reaching out to them?” I said, “If I’m going to have the time.” She didn’t realize it until later, but later that sat with me. That right there is what started for me as the journey from being overwhelmed and burned out to now where I am today. That started that course action because since that timeframe, it’s been a series of building networks and having coaching around being a business owner that has shaped everything else going the way it needed to come. A lot of the training that we don’t get in PT school. I love that you used the words ‘reaching out’ because that is what I consider the first step to any successful a physical therapy clinic owner is they need to reach out, whether it’s some kind of professional resource, whether it’s using coaches, consultants, and business networks of any kind or other. Something has to be done. 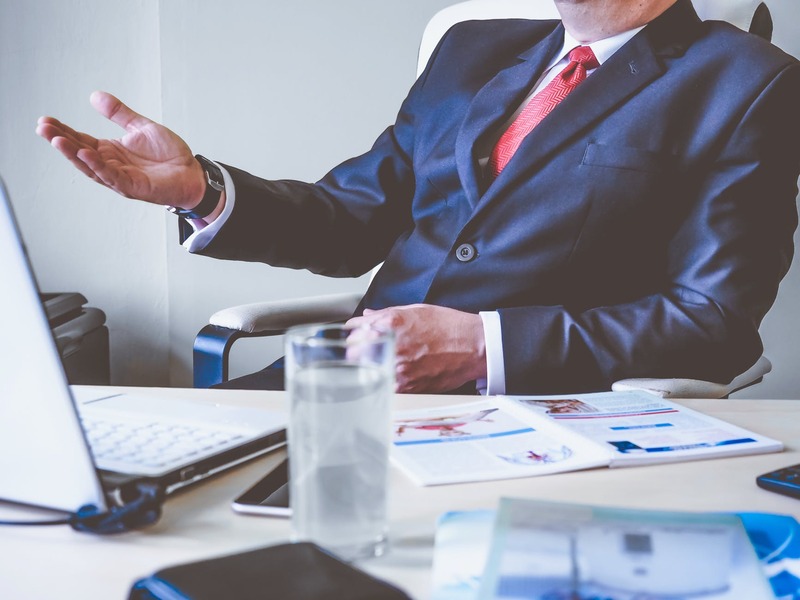 You’ve got to reach out even though you think you’re the busiest man on the planet and “don’t have time.” You have to recognize that you are the business owner, you are the business leader now, and you’ve got to act like one. You can’t be a staff physical therapist anymore and expect everything else to work around you. I love that you used simply the phrase ‘reach out’ because that’s the first step for every successful owner. This thing that you’re doing in this podcast is reaching out. Your listeners by virtue of taking some time and like investing themselves. By investing time into this, they’re investing into themselves. That’s what it’s all about in terms of learning how to grow and progress. If it was easy, everybody would do it. The funny thing is we think that this is something I wish I could go back in time. It wasn’t that hard of a journey to get to own the business and not have the business own me. It started with reaching out, admitting that I don’t know what I’m doing and like collaborating with people who’ve been there and done that. That’s been the most rewarding for me is the tons of different PT owners that I’ve spoken to over the years that have been generous, and non-PT owners, by the way. Business owners were in this club together and want to make a bigger impact. It’s by doing those things that you then you actually saw, not just personal, but you saw professional and business growth and success. A path to affecting more people’s lives than just dealing one on one with a patient. As that grows, then your influence grows and you become not just more successful, but more significant as well because that’s what you’re looking for. What would you tell your younger self going into business ownership? What kind of advice would you give? What would you say to him if you approached him at that point? Some of these things are pretty cliché, but they have a lot of doubts in terms of meeting. The first thing I would tell myself is to fail faster. I don’t know why I was holding onto it, mostly because I didn’t know. Getting to that point of asking for help means that I have to accept failure to recognize that like, “I need to fail quickly on these things so that I can learn how to fix it.” The main thing that might be an important thing to tell myself is “It’s okay. Just relax.” The stories in my head about what was going on were a lot more stressful than what was actually occurring. I think that day when all that stuff was going on, that’s me. That was a scenario that I had created because I was too busy filling my head with stories about what success looks like. That things were going to be so horrible. I’ll never see my kids and all these things. There’s no absolute way to know that. I wish it could have taken a bigger breath and failed quicker and just let it happen. I love how you say fail faster because a lot of what we do is to avoid the failure. Instead of saying, “I’m committed to this. It might fail, then it might not, but I’m going to put together a plan so that it’s as successful as possible, but if it fails then okay.” That’s all right. We learned, we change and we make another plan or a process around it and be accepting of it. That’s easier said than done but like you said, it’s something that you learned over time. Looking back, what would you say are some of your more influential resources that you’ve used to get to where you are, whether that’s in form of entrepreneurs’ organization? I know you’re still a member of that. That’s a hugely influential on your lives and in your life and you would recommend that I’m sure. Was there anything else that you would recommend to our audience? Books have been a big part of it. The coaching and the network are number one and two for me. Coaching with someone who knows how to do that thing that I wanted to do has been great. I’ve also learned that when it comes to coaching, having a transition of coaches is important. I don’t think it’s the kind of relationship I’ve come to realize that you have one person that you worked with forever, but I think it’s part of that investing in yourself. Just having someone to dedicate space for you to get above the things like the nonstop craziness of this, letting you focus on you. Then the network thing is big. When it comes to networking, it’s great. I think it was huge actually, but the biggest thing was just reaching out to other business owners and taking them out to lunch. Getting to know people who you will considered to be enemies. You had Sean Miller on a previous podcast and he was a “competitor.” I viewed him as such for a while. You and I both now look at him as this incredible resource of information. He’s about some really cool things in this world. Those two things are really big for me. Then books, the books helped me in a couple of areas. I think leadership development as a PT practice owner is wildly under-emphasized. We do not get business training and nor do we need a lot. As a business owner, I think I initially was like, “I’ve got to read my P&L.” I didn’t even know what that was for a while. That was being a business owner. That’s not that crappy outsource. Anything that doesn’t completely lined into your skill sets. I’ve learned I’m outsourcing as quickly as possible. What I do wish I had gotten on sooner is leadership development. There’s a ton of different ways to do that. 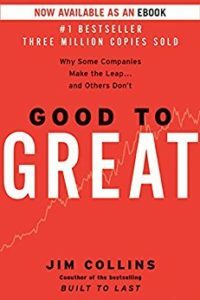 What I’ve done in terms of books that I love, my favorite is Good to Great. Leadership team development is the Five Dysfunctions of a Team. Good to Great is about me developing and Five Dysfunctions is more about the team development. Good to Great is Jim Collins, Five Dysfunctions of a Team is that Patrick Lencioni. I’m really particular about what I recommend because whenever I talked to another business owner, every business owner I know it has like a handful of books are constantly throwing out here. These are must reads. As you and I know in our current company, no one can become a director unless they’ve read these books because they’re so foundational in terms of its importance. There’s a fourth book as well called E-Myth Revisited by Michael Gerber. I would start with E-Myth because it’s all about what the goal is in mind for the entrepreneur. It’s all about this thing called What am I trying to do? If this is making pies, am I really about making pies and do I want to spend all my time doing that? There’s that. Then from there it would go Good to Great. Then five dysfunctions because first of all, they’re easy reads. Scaling Up is like the Bible. It’s important and it’s huge, but it takes some time to work through it. Took them if you’re going to implement it. Based on your perspective, do you have a preference, whether it’s billing in-house or outsourcing it? In-house all the way. Figuring it out is a different story. Getting the right person to do that job in house can control so much more of the experience. Doing it in-house, if you have the right person and you have the right reporting process and structure in place, then you can control so much more. You can do so much without relying on someone else. There’s some pros and cons and we’ve seen both sides. I know something that you’re working on a lot right now is on recruiting. For those people who are having a hard time finding a PT out there, what are some of maybe one or two of your more successful recruiting actions? Instead of going right into the how, I would say that the biggest shift that occurred for me around recruiting was a mindset. That most of us are really afraid of our success more than the failure. What I mean by that is that we think of we’re afraid of our failures, but we’re more afraid of success. Most PT companies I talked to, they talk about recruiting like this is really a hard thing? Having the mindset that it’s just going to be successful is paramount because it bleeds into thinking from a perspective of what am how can I serve these people versus how can I convince them to join my team? That was the biggest thing. I have all sorts of like tactical things I can do and I can get offline with people if they’re interested, but ultimately none of them would work without one key thing. This is the major thing I hear when people join our company when they say, “I knew I wanted to join the company when I felt blank,” and the feeling was that I am there to help them find their best job, whether it’s with me or with somebody else. I’ve coached people and I’ve been true to my word on that. I had people that I’ve wanted to hire that I think I just know long term it’d be happier at another place. More than that. It’s not the greatest place for everyone. If I serve myself as a coach to these students who are just honestly freaking out and you’ve been going through that process, then they see me as, as a thought leader in that case. It automatically attracts these powerful people. The people in our team right now are just the best we’ve ever had. How powerful is that that you’re willing to confidently say, “I don’t know if you’re the best fit for our company. You might actually want to work someplace else.” That honesty and guidance is a benefit of that person’s life forever. It does the best people and at the end of the day, what’s cool about that is when they joined the team, when things aren’t working out, you still leverage that same conversation. I had a lunch with one of our team members down here who is coming up against some barriers of growth. They want to grow in our company, and they don’t know if we’re going to have the avenue for them to grow. I reiterated that I’m like, “I’m committed to you finding your best fit.” Even now that they’ve been hired with us for a couple of years. I’m here to help you find your next job. I hope it’s with us, but it might be somebody else. When it comes to coaching, having a transition of coaches is important. I love the mindset change. What is your end game? What are you looking forward to doing in the future? Not to say that you’re going off to do something else, but what is your next step in your professional career? What are you looking forward to do? We’re working hard with the leadership team to where you have become self-sustaining, meaning it’s not requiring you anymore. We’ve got powerful people who are trained for running this thing in growing it without us. With this greatest space, you’re going into this open area to help others who hopefully won’t have to go through the same pain if they would listen to this podcast of what you and I went through. It’s parallel to yours. My main vision is to create physical therapy as the doctor in the community that it isn’t. I’m taking a stand against the commoditization of physical therapy. Looks like, is that we need our industry, in order for it to grow and thrive, it’s going to require physical therapist to be seen as doctors in their community and not some service that doctors refer out to. How I’m going to create that is working with new graduates, helping them find alignment with their best fit for their ideal job. From there I want physical therapists start their own practices through coaching. That’s my focus. My thought is we need a lot more Nathan Shields like you did back in 2002 when you go out in Chandler, Arizona and decided to take that risk on. We need so many more of the Nathan Shields out there so that they become the Connie Clemens, my physical therapist, when they fell off the mountain. It’s my opinion that those people are the ones who give the best personal care both emotionally and physically. That’s where I’m spending my time. I’m going to be focusing on new graduates helping feed either or are promoting the growth of our industries are leading the ones who are like chain. I want to help Joe Schmoe open his clinic. That’s my whole space and I’m coaching a couple of times. If people wanted to get in touch with you, if you’re open to that, feel free, go ahead and share how did they can get in touch with you? The best way to get a hold of me, it would be my email, WillH@RiceRehabAz.com. You can go to RiceRehabAz.com. I’m here to help serve whoever is interested in that journey. I’m not looking to do anything other than just to get people out there promoting themselves as the doctors in the communities. They can be and/or students like if there are students as well, that’s another area. Love to help is getting students signed up with where they need to go. Thank you so much for sharing your insights and your experiences. They’re powerful. I’m sure the audience will get some pretty awesome nuggets of information out of what you shared. Thanks a lot for helping me out and joining the podcast. I appreciate it. Outstanding podcast interview guys! That was very inspirational, enlightening, very entertaining and absolutely humorous! The world of physical therapy and physical therapists will gain tremendous value from what you were doing here Nathan. Kudos and congratulations on this beautiful adventure!